Angi At Stampin Up: It's time for a Prize Giveaway! 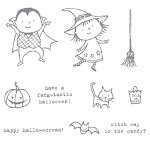 All content including text and photographs are COPYRIGHT ©2010 Angi at Stampin Up. Artwork is shared for your personal enjoyment. Images may not be copied for submission to contests or magazines. It's time for a Prize Giveaway! It's time for this month's Stampin Up giveaway. 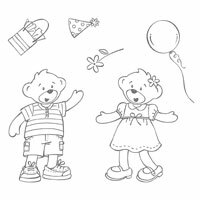 This month I am giving away this cute Build-A-Bear "Beary Best Friends" Stamp Set. Did you know that Stampin Up has an exclusive partnership with Build-A-Bear to bring you cute patterned paper, stamps, die-cuts, and more? Visit my online store if you are interested in these exclusive products. To visit my online store click the shopping bag in the upper left side of my blog. Make a purchase in the month of August to be automatically entered in the contest. The winner will be announced here on August 27th! Good Luck! Fun With The Big Shot Machine! Tax Free Sale This Weekend! Decorate Your Home With Stampin Up!